This Oct. 3, 2017, file photo, shows a message of condolences for the victims of the Route 91 Harvest country music festival, displayed on the marquee of the MGM Grand Hotel & Casino in Las Vegas, Nevada. The unprecedented move from MGM Resorts International to sue hundreds of victims of last year's mass shooting in Las Vegas using an obscure U.S. law never tested in court has been framed by the casino-operator as an effort to avoid years of costly litigation — but the legal maneuver may not play out that way. 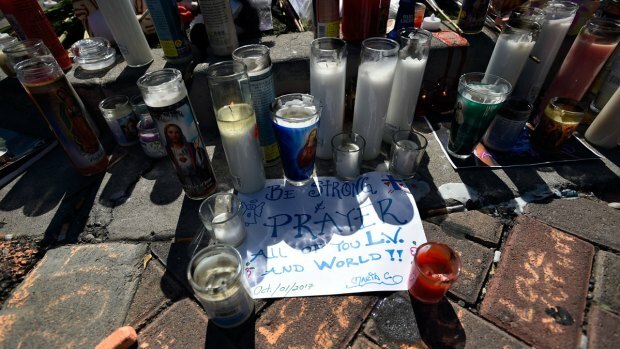 But experts believe legal resolutions won't come quickly because appeals are practically guaranteed and a U.S. court may not be the appropriate entity to determine whether the shooting is considered terrorism. The U.S. Department of Homeland Security said Friday that the law authorizes its leader to make that declaration. MGM's lawsuits target victims who have sued the company and voluntarily dismissed their claims or have threatened to sue after a gunman shattered the windows of his hotel suite and fired on a crowd of country music fans. Stephen Paddock killed 58 people and injured hundreds more before killing himself. The law has never been used to avoid liability after mass violence, such as the shooting at a Colorado movie theater in 2012, because previous attacks haven't involved services or products certified by Homeland Security. The department has only approved about 1,000 services and technologies, including airport screening equipment and stadium security. 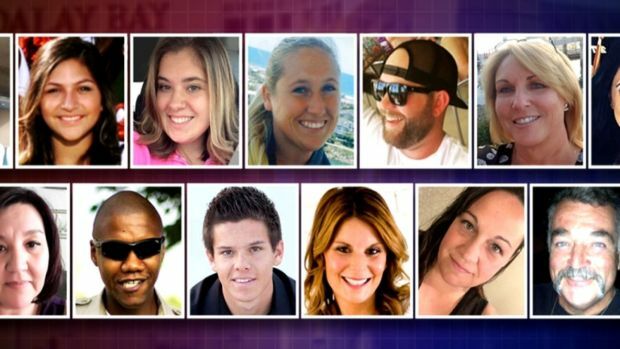 The Department of Homeland Security said in response to MGM's lawsuits that its secretary "possesses the authority to determine whether an act was an 'act of terrorism'" under the law in question, and it "has not made any such determination regarding the Route 91 Harvest Festival mass shooting incident." The agency says it's reviewing the matter. The law broadly defines it as an unlawful act that harms a person in the U.S. and "uses or attempts to use" weapons or other methods that can cause mass destruction. MGM says Homeland Security Secretary Kirstjen Nielsen is not the only one with authority to make the call and that her public statements "make clear" the attack meets the law's requirements. The company's argument is "far too broad of an interpretation of the statute. It should be fairly clear that what MGM did is not what was intended in the statute," said Brian Finch, a partner at Pillsbury Winthrop Shaw Pittman in Washington D.C. "It is (the secretary's) responsibility, not that of a judge." CSC's general counsel, James Service, said the company doesn't comment on litigation. 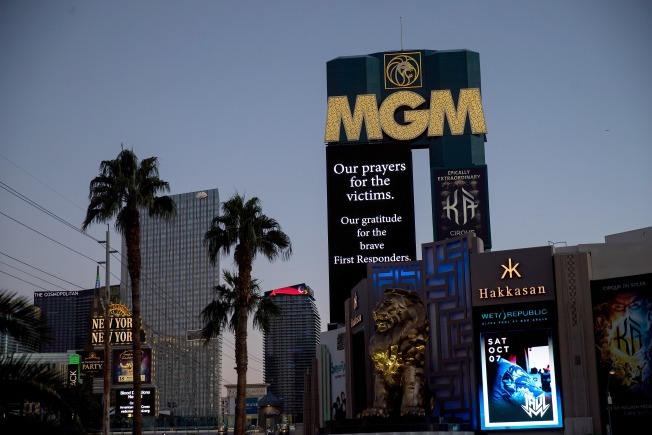 MGM faced immediate backlash over the lawsuits this week, and it insisted in tweets and statements that it is trying to expedite resolutions for the victims. It stressed that it is "not asking for money or attorney's fees" and directed the complaints "only at people who have already sued us or have threatened to sue us." "We are seeking justice through the federal court system in order to reach a timely resolution. We want to resolve these cases quickly, fairly and efficiently," spokeswoman Debra DeShong said on MGM's Twitter account. Victims' attorneys and a legal scholar told The Associated Press that the company's strategy won't speed up anything. "This is a high-stakes, controversial case. A court would be very careful not to rush to a judgment on this," Yen said. "It is going to take a long time for a court to decide the merits of this case."